I’m frequently asked about tax deductions for homeschooling expenses. The US federal government does not have any tax deductions or tax credits for K-12 education expenses, but some states do offer tax credits or deductions. This document has a description of state tax breaks for educational expenses. The document is dated 2011. There is an 2014 update to the document at http://www.house.leg.state.mn.us/hrd/pubs/ss/sseducdc.pdf. To date, 14 states in addition to Minnesota provide income tax benefits for education-related expenses. Alabama, Arizona, Florida, Georgia, Indiana,Iowa, Kansas, Louisiana, New Hampshire, Oklahoma, Pennsylvania, Rhode Island, South Carolina, and Virginia all provide tax credits for contributions to nonprofit school tuition organizations that operate like charities; Puerto Rico also allows a similar credit. Kansas, New Hampshire, Pennsylvania, and Rhode Island allow their credits only for corporate taxpayers; the Florida credit is allowed against corporate, insurance premiums, severance, alcoholic beverage taxes, and sales taxes for certain taxpayers; and Alabama, Arizona, Georgia, Indiana,Iowa, Louisiana, Oklahoma, South Carolina, and Virginia allow credits for both individual and corporate taxpayers. Arizona also allows credits for individuals who pay extracurricular public school fees and who contribute to character education programs at public schools, and Pennsylvania also allows a corporate credit for contributions to innovative public school programs. Louisiana allows individuals to claim a tax deduction for qualified education expenses. Illinois, Iowa and Wisconsin provide individuals with nonrefundable tax credits for qualified education expenses, and Alabama allows a refundable credit for tuition expenses of students leaving state-designated low-performance schools. Iowa’s credit applies to tuition for children attending accredited not-for-profit K-12 schools, and Louisiana’s deduction applies to public, private, and homeschool expenses. Courts in Arizona, Illinois, Indiana, Iowa and New Hampshire have upheld the permissibility of these education credits. Did you find your state listed? Ask your tax professional if your homeschool expenses qualify for a tax credit or deduction on your state income tax return. 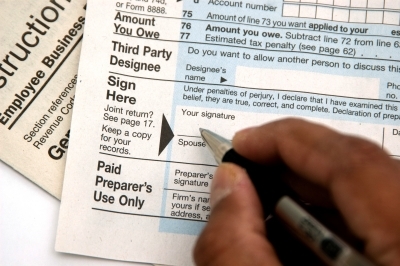 Tax deductions and credits just reduce the tax you pay. Your state government is not putting cash in your hand to purchase books. You must do that first. Then you pay a little bit less in tax via a tax deduction. Can you set up homeschooling as a business and get tax deductions? Any tax breaks for homeschooling in 2013? Congratulations to Equip Education on 501(c)(3) status!